Xiaomi has just unveiled a brand new power bank in China. With a capacity of 10,000mAh, this is Xiaomi’s first-ever USB Type-C power bank, and it boasts some pretty interesting features, such as the ability to charge the new 12-inch MacBook. 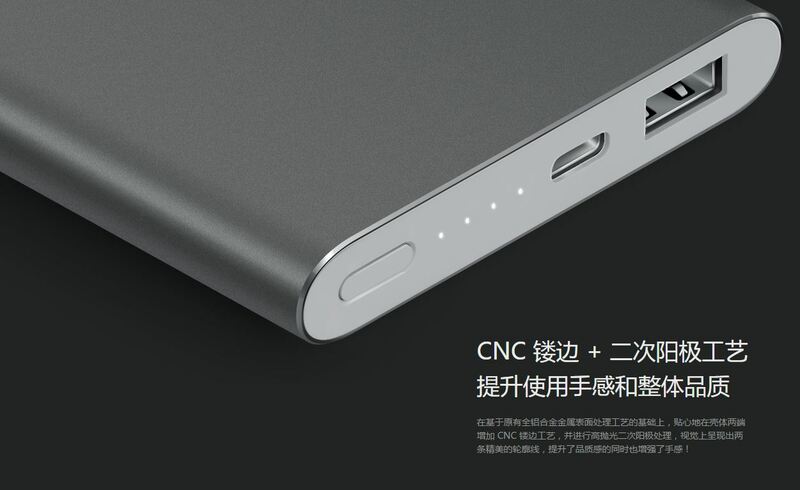 According to Xiaomi, the new power bank is able to charge any device with a Type-C port (it also comes with an adapter to charge devices with a microUSB port), although it remains to be seen if it will charge a full-blown laptop with the new USB standard as well. Of course, as we have mentioned, the power bank can charge up the new MacBook, not to mention the Xiaomi Mi 5, which is also equipped with a Type-C port. The other standout feature of this new power bank is its slim design. 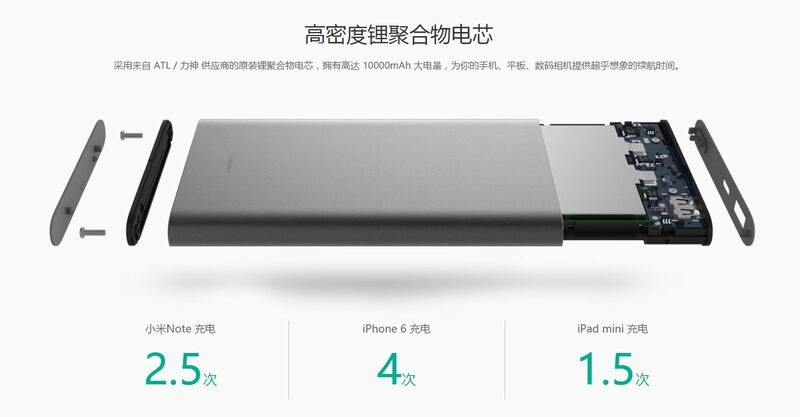 Measuring only 12.58mm thick, Xiaomi mentioned that this power bank is 42% thinner in comparison to conventional 10,000mAh power banks, which is rather impressive. Much like other Xiaomi power banks, this new product also has an aluminium alloy metal housing. While all of these features are impressive, what makes the new Xiaomi power bank particularly interesting is the benefits that the new Type-C port brings. 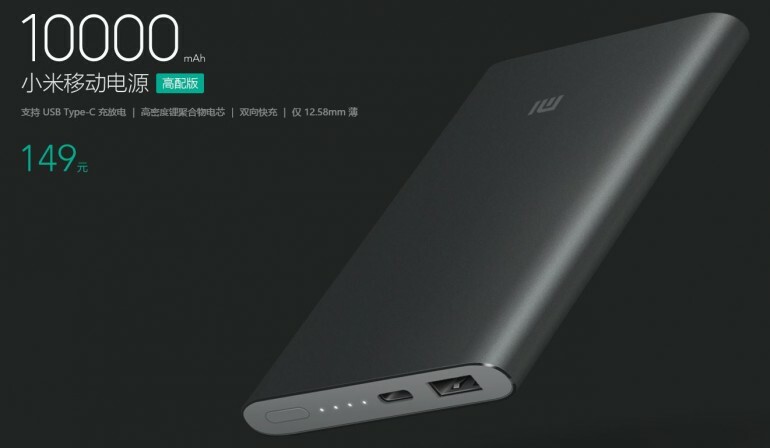 Thanks to the new port, Xiaomi mentioned that the 10,000mAh power bank can be fully charged in only 3.5 hours. Interestingly, the new power bank also supports fast charging. The Xiaomi Mi Note, for example, can be fully charged in one hour and 50 minutes with this new power bank, while other conventional power banks can take up to two hours and 30 minutes to do so. At least, that’s what Xiaomi is claiming. The new Xiaomi power bank is currently on sale in China for 149 Chinese yuan, which comes up to about RM95. While this isn’t the most affordable 10,000mAh power bank in the market (something that Xiaomi is well-known for), its interesting set of features somewhat justify the price tag. As usual, it remains to be seen if this power bank will be officially sold in Malaysia.